1. More dogs – it’s inevitable. The amount of times I’ve heard people say ‘one is enough for me’, then comes number two and then three and so on. 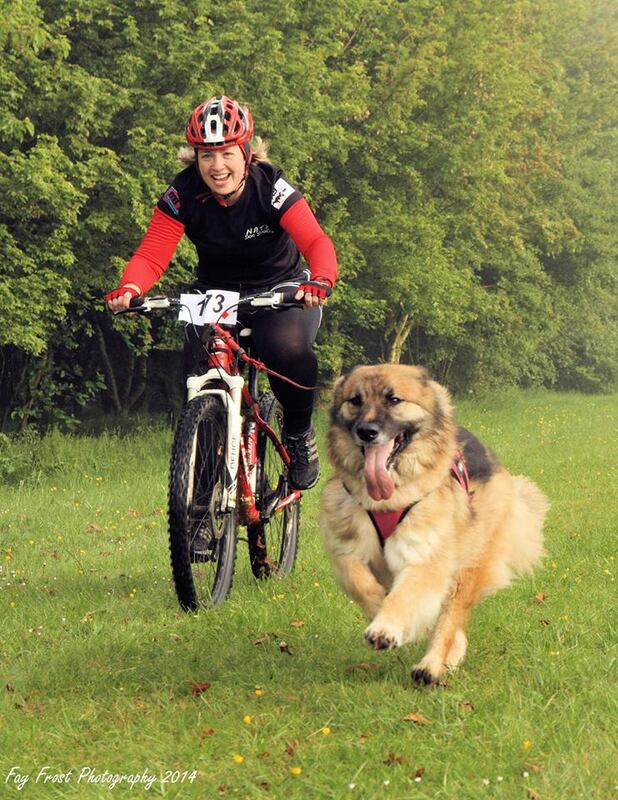 It becomes addictive and you end up wanting more dogs, not just to enter more classes at events or cover more miles, but also because owning more dogs is more fun! I started out with one and then rescued another two, dog number four is somewhere on the horizon…. 3. 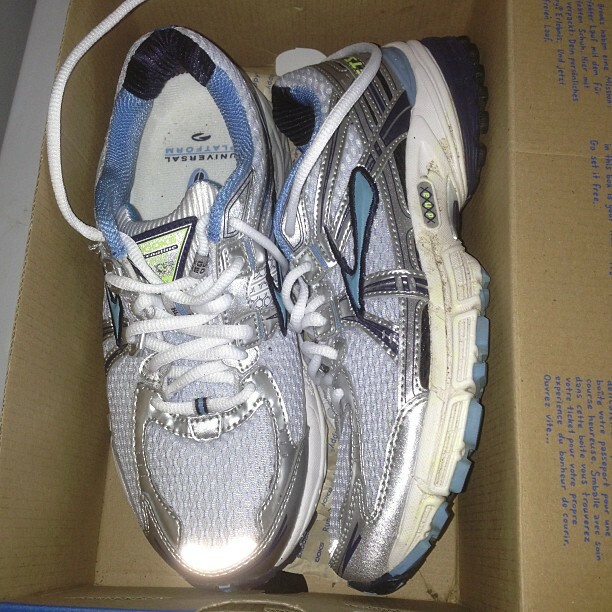 More trainers – this is only if you haven’t already got a cupboard full of different makes and styles of trainers. The more running you do, the more trainers you will need. You might want to dabble in lighter weight, minimal trainers and then decide actually you were happier with the good old first pair you bought but now you find they don’t make that model anymore, so you have to try a different brand. Don’t fight it, embrace them! 4. A van to put all of the above in and drive around to all the social runs / races you will now be attending because you want to be involved in as many of the activities as you can. 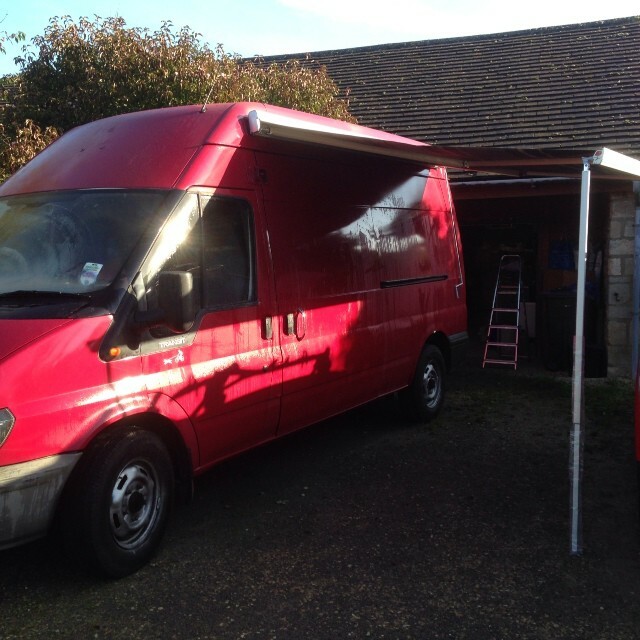 This will often involve travelling long distances and staying overnight in woodlands or fields with no facilities, so you might want to think about a campervan to save yourself the hassle of upgrading at a later date. 5. More cake – as a direct result of increased activity with your dog, you will find that you need more cake in your life. The cake is your reward for having just run/biked/scooted however far and many events have even started catering for this by providing cake made by volunteers. 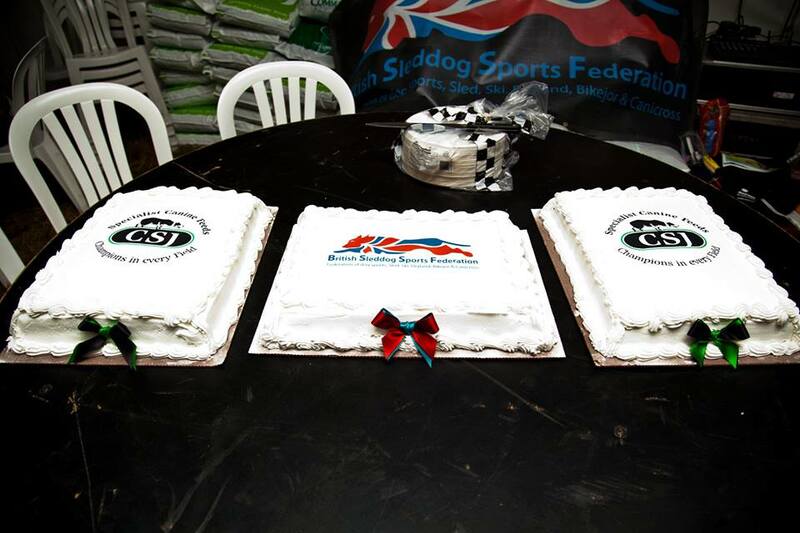 Cake is a must for self-reward after all the extra activity you’re participating in with your dog! 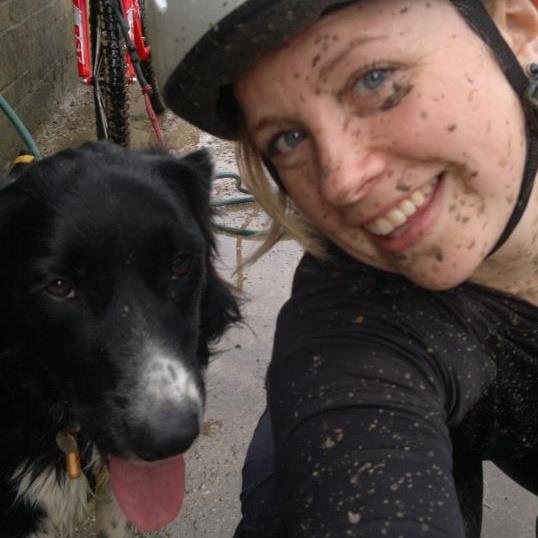 This little blog is my story about building a bond with your dog through the dogs sports of canicross, bikejor and dog scootering and why these activities help with the process. 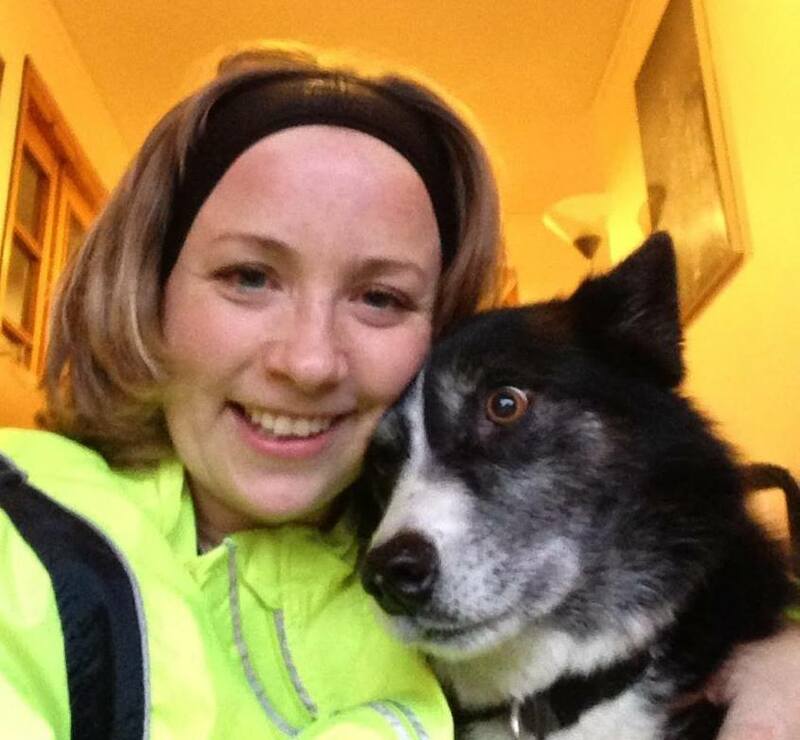 When I started running with my first dog I didn’t actually set out with any aim other than to wear her out because she is a collie/husky cross (whoever let that happen didn’t think about the consequences!) Tegan was suffering with separation anxiety having been found as a stray somewhere in Wales and then taken to a pound, she was then transferred to a kennels and after a few months found herself in my home. I imagine for her, being left alone while I went to work caused her a huge amount of stress, as I was the first constant in her life after months of upheaval and change. With the decision made that running with Tegan in the morning would hopefully tire her out enough to get her to sleep at least some of the time I was out, I set about my new routine. I noticed very quickly that not only did her separation anxiety improve slightly but also her behaviour in general and she began to respond to me in a much better way, treating me with a bit more respect than she had prior to this. When I got Judo as a 4 month old puppy nearly a year after Tegan, the runs were put on hold while he grew up enough to join us and I could tell Tegan missed the fun of being able to go that bit further and faster. Finally when Judo came of age we took up canicross properly and began training for our first race, it was through this training that I really began to get a ‘feel’ for what my dogs enjoyed. I watched them constantly when running, looking for any signs of being tired, injury or what made them increase in speed. As a result of this, my first race wasn’t a shock, I knew how my dogs were likely to respond to other dogs around them and knew the triggers to look for with Tegan, who can be dog reactive on the lead. 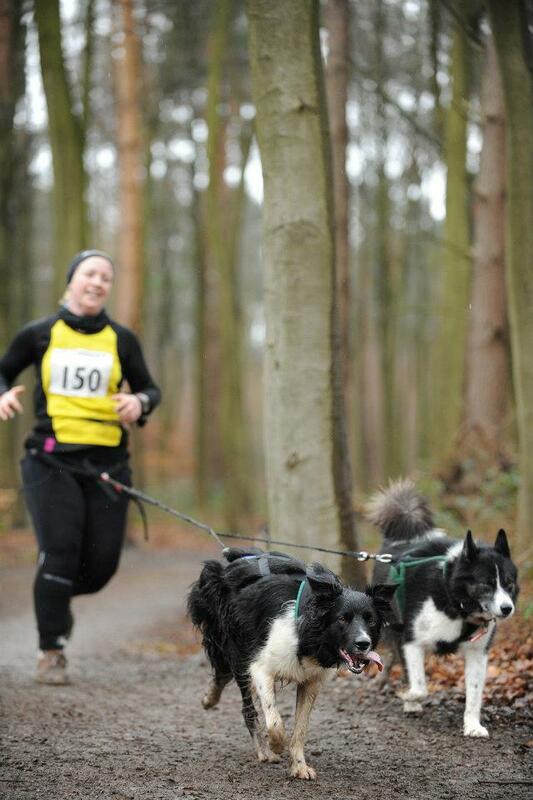 Canicross was teaching me to read my dogs better in all situations not just when we were running. By the time my third dog Donnie came into our lives I had already taken up scootering as an alternative way to keep the dogs fit while I recovered from an ankle injury. I felt I didn’t have such a connection with the dogs when scootering as you’re that bit further away and I didn’t feel so involved because I wasn’t doing quite as much work as I had to when canicrossing. With hindsight I can see this wasn’t quite true. What I discovered was that you need to have a bond already in place to be able to communicate effectively with your dog at distance, so in actual fact to be able to scooter or bikejor your dog properly, the bond needs to be stronger than with canicross. This really hit home for me when I began to bikejor with Donnie as we could really pick up speed and turn very quickly on a single voice command. I realised he was anticipating my lines through tricky sections of courses and it was almost like he was reading my mind in some circumstances. That type of connection doesn’t happen if your dog is not switched on to you. This development was organic, I didn’t seek it out, I didn’t force it, it just happened through time and training. I’m not saying my dogs never do anything unexpected or that we never make any mistakes, but I do find that through taking part in the dog sports, I feel more in tune with all of my dogs and can usually spot a potential problem before it becomes one. A recent example of this was the diagnosis of Addisons Disease in Donnie. Thankfully I was very aware he wasn’t ‘himself’ even though to anyone else he would have looked like a normal dog and that prompted me to keep asking for tests and keep insisting something wasn’t right. Unfortunately with Addisons because it is so difficult to diagnose it often takes the dog reaching a critical condition before the vets will test for it and in some cases it is missed. I certainly feel the bond I’ve developed with my dogs is directly related to the amount of time I’ve spent training with them in the dog sports. 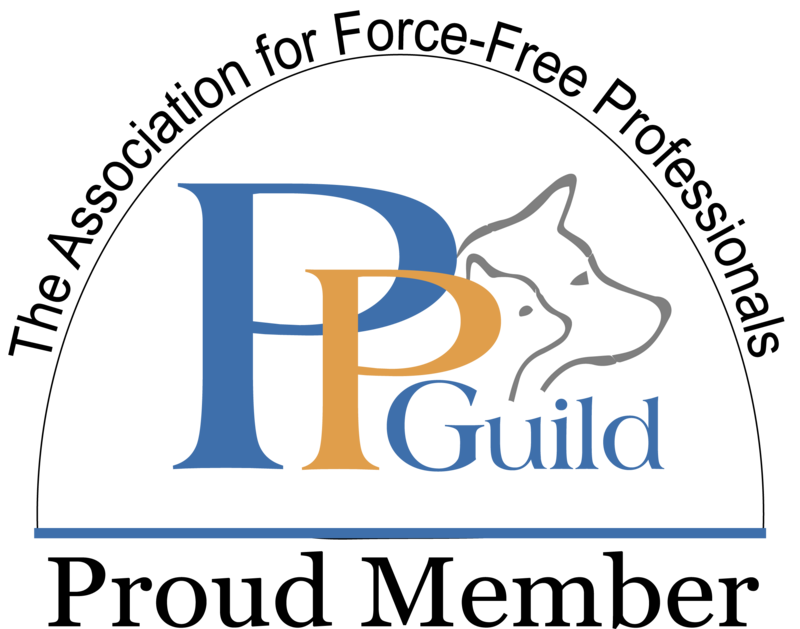 Practice positive training – Why? Because it works! Following on from a week spent with some TTouch practitioners, I thought I’d write a short blog on my opinion of the best training techniques to use for training your dog to canicross, bikejor or scoooter. I’ve been involved in the dog sports for a number of years now and it never fails to amaze me how people forget that if you want your dog to do something for you, you need to make it more fun, more rewarding and more exciting than anything else it might want to do. For example, if you want your dog to run in front of you rather than to the side, stopping, sniffing and weeing on every patch of available grass, you need to make running more stimulating than the gratification dogs get from checking out and marking their environment. The easiest way to do this in most cases is to give them something to chase. Dogs love to chase things and it provides stimulation for both body (by the physical action of chasing) and mind (the focus on the subject being chased). Of course not all dogs will prioritise this over other more sedate rewards but in many cases it is a great way to encourage your dog to pull out front. You might choose to use another person or another dog, whichever spurs your dog on the most, however you want to be praising your dog when it does run out front, so that you are not reliant on this technique for very long. Another example of how to motivate your dog is to take them somewhere new, where the sights and smells are totally different to your usual circuit. If you are constantly training over the same tracks then your dog will begin to find the route ‘boring’ and the distractions of smells will probably feature higher in your dogs’ preferences than exploring the area. How many of us go into ‘auto pilot’ when we are driving a regular trip in the car, getting distracted by things in the car rather than what’s going on outside and keeping focused on where we are going? By providing your dog with a variety of routes, you can utilise their natural instinct to rush about the unfamiliar territory and again by rewarding the behaviour, your dog will quickly learn that the action of running about gets positively reinforced and therefore will be quicker to display it next time out. All this might sound obvious but the amount of times I have passed or been passed by teams when racing whose ‘drivers’ have been hollering at their dog/s to ‘encourage’ them. Unless you use this as a form of reward in your normal routines, I can’t see how continually shouting at your dog will ever consistently get you good results?! Your dog might respond to it but won’t be running faster because they want to please you, they will be running because they don’t want to be shouted at! Think of why personal training can work for you, usually not because you want to please your trainer by doing better, but to avoid being made to feel bad. Which approach do you want for your dog/s? Most of the best canicrossers, bikejorers and dog scooterers I know will remain virtually silent unless conveying a command of some description. 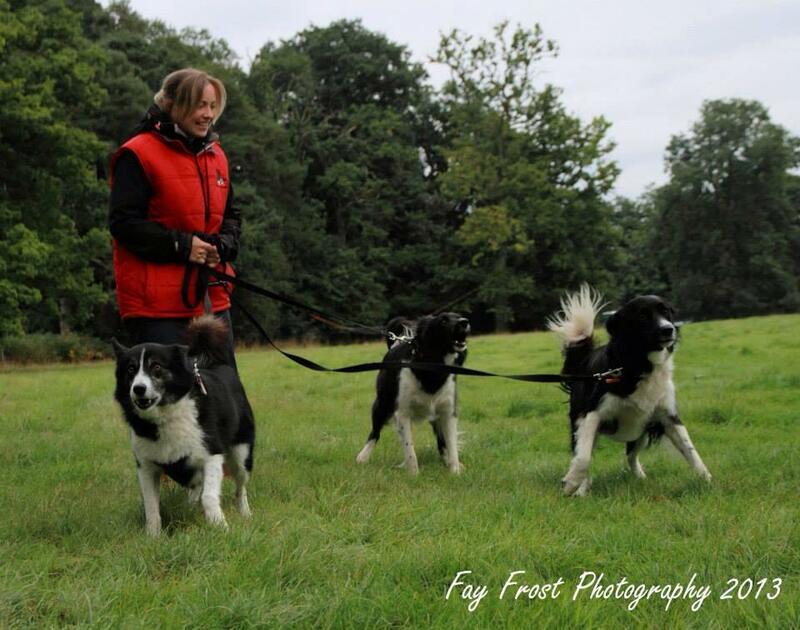 Of course there are times when vocal encouragement will work but this is usually in an upbeat tone designed to excite the dog, not an (often frustrated) ‘get on’ or similar vocalisation in an attempt to stop your dog losing focus when running. Of course I am a fine one to talk about voice commands, as I find myself ‘chatting’ to my team throughout our races, but I tend to use the same tone I would use if I was just about to produce a tasty treat and only raise my voice if I deem it absolutely neccessary to get one of my dogs’ attention urgently, or to encourage an extra burst of speed at the end of a race. 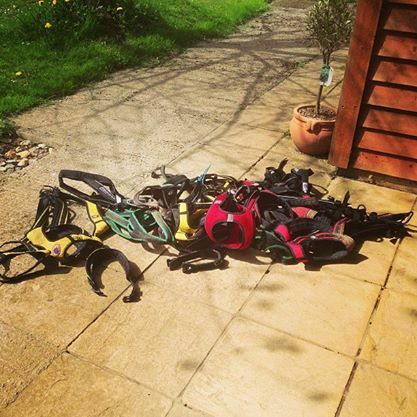 I’d like to think my dogs all love what we do, the very fact that they climb over each other and me to get their harnesses on, gives me a clear indication that they are keen to participate. If I felt I was putting more effort into getting them to run than in keeping up, I’d probably have a re-think about what I was doing with my training. 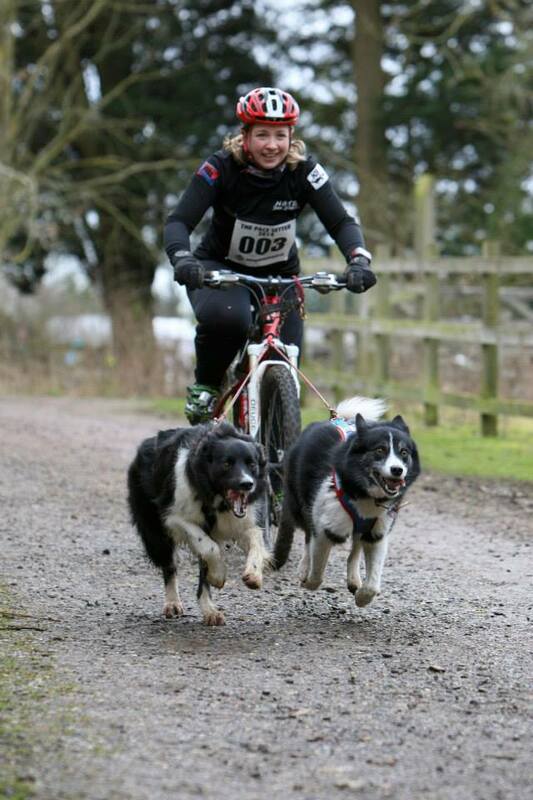 To conclude, whenever I’m asked about training for canicross, bikejor or scootering, my reply is usually to say keep it fun, focused (which often means short) and to reward your dog for doing what you want it to do. Positive training has proven to be the most effective because your dog will want to continue the behaviour rather than avoid a punishment.